In a communication to the Pune Municipal Corporation (PMC), the Maha-Metro suggested three options but recommended the second option, which proposes an alternate route. Mumbai: After the National Monuments Authority (NMA) rejected its proposal to build a Metro rail route within the ‘prohibitory area’ of the Aga Khan Palace, a heritage structure, the Maharashtra Metro Rail Corporation Ltd (MMRC) or Maha-Metro has proposed certain changes in the route alignment that will lead to an increase of Rs 185 crore in the project cost. In a communication to the Pune Municipal Corporation (PMC), the Maha-Metro suggested three options but recommended the second option, which proposes an alternate route. It involves diverting the route from Gunjan Chowk and increasing the length of the viaduct to an additional 0.92 km. As per the first option, the Metro route would be diverted from Kalyaninagar Metro station and it would entail a slight increase of .06 km in the length of the viaduct. However, this option would involve relocating several local residents as the area is densely populated and has large housing societies and buildings. It will also involve the acquisition of defence land, which could be a time-consuming process, while the cost of the project would increase by Rs 135 crore. The third option involved diverting the route from the Bund Garden Metro station and along the south bank of Mutha river, increasing the viaduct by about 0.563 km and shifting the location of two stations, leading to an increase of Rs 155 crore in the project cost. But this plan would have hit the ridership from the north side of Kalyani Nagar junction, and also raised environmental issues, as the revised route would pass along the riverfront. “The second option seems to be the most feasible one. 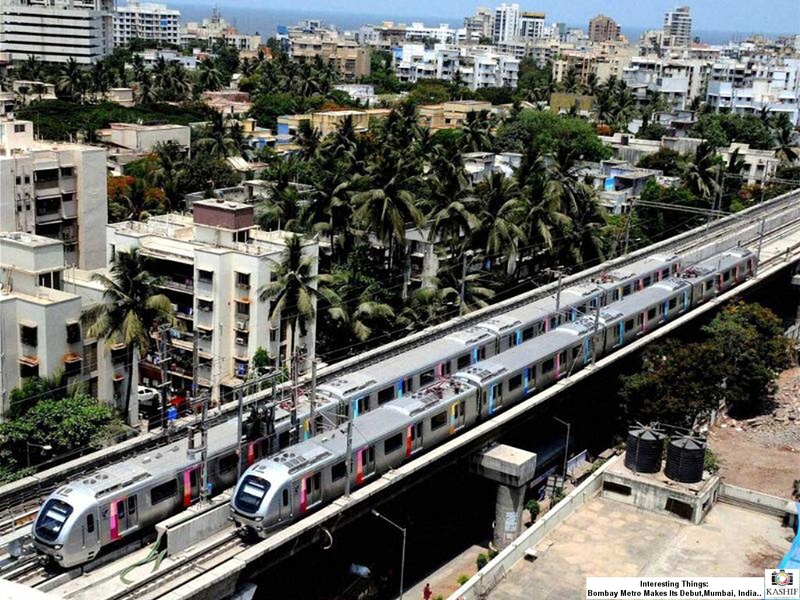 The Maha-Metro would like to inform the PMC about the need for a proposed change in alignment, necessitated due to the rejection of the application by NMA,” it said. On September 10, the NMA had rejected the Maha-Metro’s proposal to start work on a Metro route along Nagar Road, as it fell within the regulated area of the Aga Khan Palace. As per the Ancient Monuments and Archaeological Sites and Remains Act of 1958, which was amended in 2010, no construction of any kind is allowed in a prohibited area within 100 metres of a nationally protected monument. The Aga Khan Palace was declared a nationally protected monument in 2003 and the proposed Metro route was within the regulated area. “Since the proposed site of construction is in the prohibited area of the centrally protected monument, no construction is permitted under Section 20 A(4) of AMASR Act, 1958,” the NMA stated. Maha-Metro is implementing the Pune Metro project on two proposed routes which are divided into four parts. The route from Civil Court to Ramwadi is proposed to run on the median of the Pune-Ahmednagar Road, which passes through the vicinity of the Aga Khan Palace. The metro route was at a distance of 118.5 meters from the monument, which is within the regulated area, so the permission of NMA was sought.